I am glad that after twenty years of being present in wood processing sector I have accepted the proposal of my colleges to lead the Croatian Wood Cluster. We have all done a great job in order to strengthen this sector and Cluster is today one of the most important professional association in Croatian economy, which is visible according to the achieved results. It is positive when professional associations work on promotion of the interest of all wood processing companies, and lobbying includes also informing Croatian and European state institutions about current state and problems as well as further possibilities of development of this sector. Cooperation of wood processing industry and forestry represents a crucial relationship in forest-based-industries and we evaluate the current cooperation as correct with the possibility of significant improvement in the following years. Investments in modern technologies and logistics can assure our competitive advantage in toughest world markets and local units have an important role in preparing and encouraging of investments. This sector has more development potential, in spite of difficulties caused by crisis at the end of past decade. Therefore it is necessary to find new models for strengthening of international position since the Croatian companies are mostly export oriented. organize this sector in accordance with EU directives. Entrepreneur, economist and international expert in the processing, marketing and trading of wood, with 21 years of experience. He is specialized in exporting hardwood, especially beech, to overseas markets. Through his Cedar Company he is currently making an investment of over EUR 40 million in the Vrbovsko factory. He has won various business awards at national and international level. You are holding the new annual report. It does not include all activities but only the most important in 2014 and because of easier reading it also includes the information about last quarter in 2013 and first one in 2015. The goal of this document is to inform the members on the activities but also to communicate the information on this sector’s issues to the public. At first we present the information on conducted activities and the current state in the sector, and some themes like energy efficiency or better valorisation of energy from wood deserve special attention. The growth of export is the speciality of this sector and recognizable mark because it has grown for almost 300 percent from 2003 to 2015. We are pleased by the structure and growth of some subsectors, for example in furniture export (the biggest growth of the export of furniture is to Germany). Of course, everyone in sector find that the stabile situation regarding the parquet sale is important then this is one of the most known Croatian brands. As to activities that are in front of us, we can point out the extensive organisation of our professional events, publishing activities and different initiatives, for example “carbon free initiative” as well as usage of EU funds for smart specialisation. Croatian forestry is our traditional partner, and long term sustainability of forestry and wood processing industry represent key fields on which we can do more together. 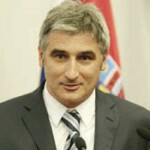 It is true that this is all achievable and it is also possible to speed up the development in rural areas as well as to realise many projects, only under the condition that Croatian and European politicians and members of the both parliaments will create responsible laws and create encouraging politics which favour green economy. It is our task to introduce them with the current state and potentials of this sector. 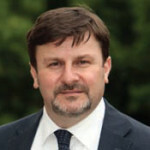 He has experience of operational activities and strategic planning. 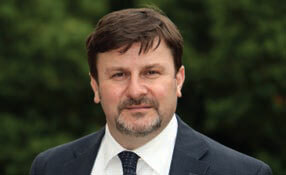 He has directed production, export and trade activities and professional publishing. He has held office in state institutions. He is the initiator of the introduction of FSC certification and the initiator of the campaign Wood is First (Drvo je Prvo). 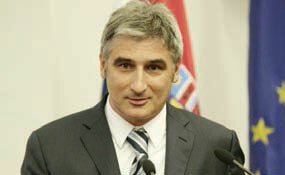 He is the director of the Croatian Wood Cluster and the President of the Cluster Competitiveness. He was educated at home and abroad, gaining an MBA in Switzerland and postgraduate master’s degree at Oxford University. development and the export orientation of the companies, the sector has turned into a real hero of domestic exports, which, unfortunately, is not mirrored in financial support or other forms of encouragement for export and production. the key to a better positioning of the companies in foreign markets. Regarding developments in market trends, it is significant that the majority of indicators recorded mostly positive signs. In 2013 the industry produced 106,679 m3 of sawn conifer timber, 610,445 m3 of sawn hardwood timber . In the category of furniture the greatest production was of chairs and seats: 1.2 million units, representing 53.9 percent of the total amount of furniture. Products in the field of wood in construction are still important. Full-time professor at the Faculty of Forestry, University of Zagreb, specializing in the area of market research into wood products, product planning and production programs and economic issues in wood processing companies and furniture production. He has significant experience in multinational scientific and educational projects. He has published 94 scientific and 24 professional articles in leading international journals. President of the Board Spacva Inc. Cluster performs various and numerous activities, which must be in accordance with the founding documents, statute and regulations, primarily in accordance with the Law on Associations. On the other hand, Cluster gathers different and heterogeneous companies: small and large wood processing companies, primary processing and finalists, domestic and foreign investors, producers of wood pellets, as well as designers of furniture, etc. In these multiple activities Cluster integrates all sector to work together and to cooperate and the strengthens joint operations. Every activity is documented (note, photo, audio or video documentation, the publication in the media or statements). The function of the Supervisory Board, therefore, relates to the control of business books, especially the final financial reports, and operational documentation of the Cluster, including records of members, lists of meetings etc. It should be noted that so far there were no serious objections from members regarding the legality of work, and the withholding of their membership rights. Also, there are no records or remarks regarding leadership of the Cluster that would require involvement ethical or disciplinary Commission. The novelty in the work relates to the calculation of VAT as the Cluster entered in the register of VAT payers in January 2015. Cluster receive incomes from membership fees and other incomes (donations, income from participation in the projects, income from the organization events, publishing, etc …), while expenses are related to salaries of employees, operating expenses and office costs of printing and promotion. An entrepreneur with extensive experience in commercial, architectural and wood processing activities. He is the chairman of the board of the wood processing companies Spacva Inc. from Vinkovci, which has more than 700 employees. He graduated from the Faculty of Economics, and has further perfected many skills at home and abroad. He is a member of various business associations. In business circles he is regarded as a decisive and energetic manager. Findout about latest Activities, Events and Networking from Wood Processing Industry.